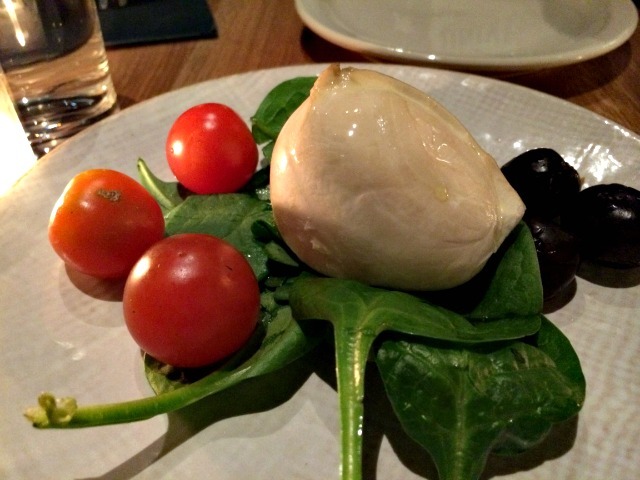 When I first heard about a “Mozzarella Bar” in NYC, I couldn’t ask for directions fast enough. I wouldn’t saw my family is made up of artisanal cheese experts, but more like really big artisanal cheese fans, willing to learn (and taste) anything to grow our appreciation for the craft. 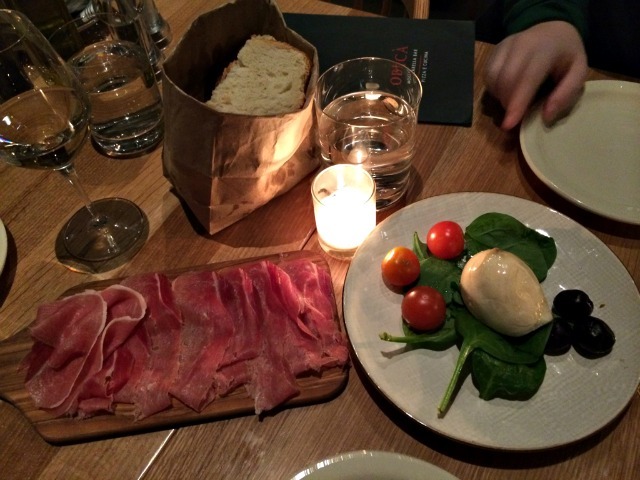 Spending a few hours browsing and getting lost in one of our favorite Manhattan attractions… Eataly, we walked down the block in the Flatiron District to check out Obicà. First suggested by my roommate, this was the perfect place for a Naples-inspired bite, good wine and cheese you can order, and I quote, “by the blob.” Sounds like heaven. 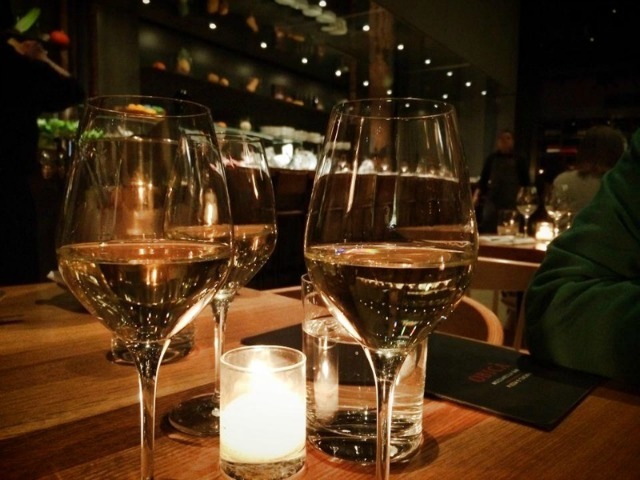 Starting off the night, we ordered a bottle of Sardegna – Thilibas Vermentino di Gallura DOCG 2013 – Pedres Vermentino (which is exactly what it said on the menu… clearly). 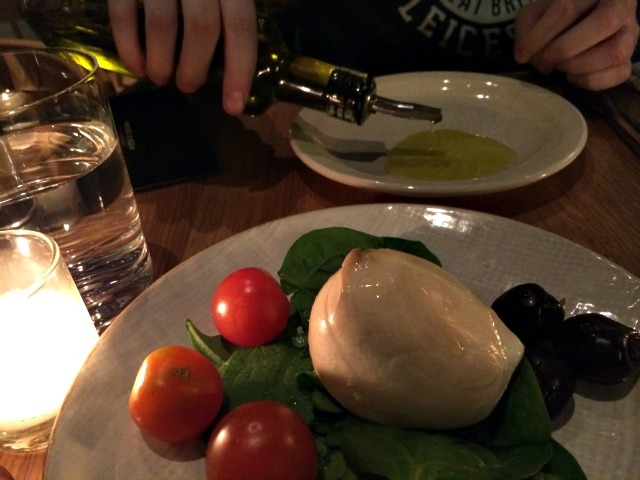 Smooth and sweet, it was suggested by our fantastic waiter, to go along with our next selection, the naturally smoked Bufala Affumicata Mozzarella. Served with a fresh selection of breads (the rosemary and sea salt was a personal favorite), olives, cherry tomatoes and generous portions of olive oil and balsamic vinegar — we were in Naples heaven. 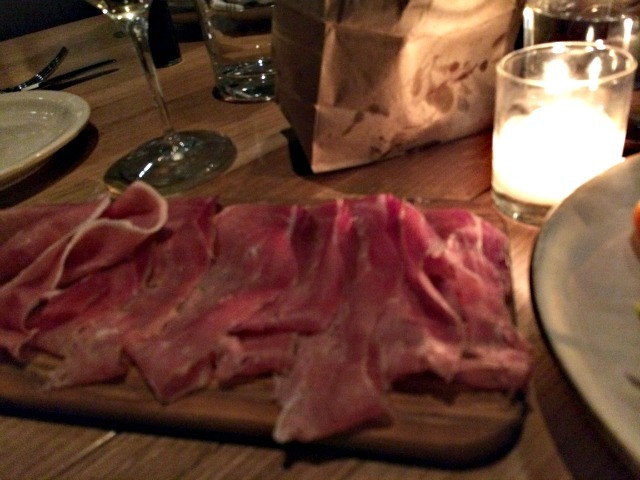 To pair with our deliciously chic blob of a first course, we selected the Speck Affumicato Alto Adige DOP, a flavored and smoked cured pork. The “DOP,” we were told, is basically the “stamp of approval from Italy” that this is the good stuff. Salty and so thinly sliced, the smokiness from both the mozzarella and cured pork went perfectly together, we couldn’t have been more impressed. 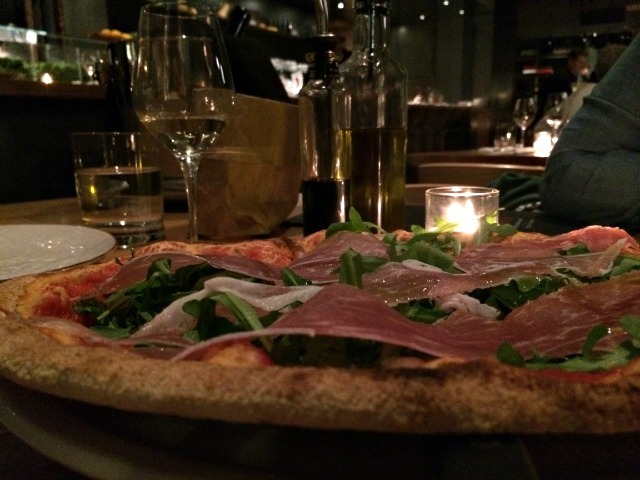 Properly introduced to Obica at this point, we decide to finish up the meal with a Prosciutto Crudo Pizze, made with prosciutto crudo di parma, mozzarella di bufala, organic tomato, wild arugula. Their pizze offering is is prepared with stone-ground PETRA flour from Molino Quaglia and the dough is left to rise slowly for 48 hours. Clearly this is working because it was decadence on a plate. 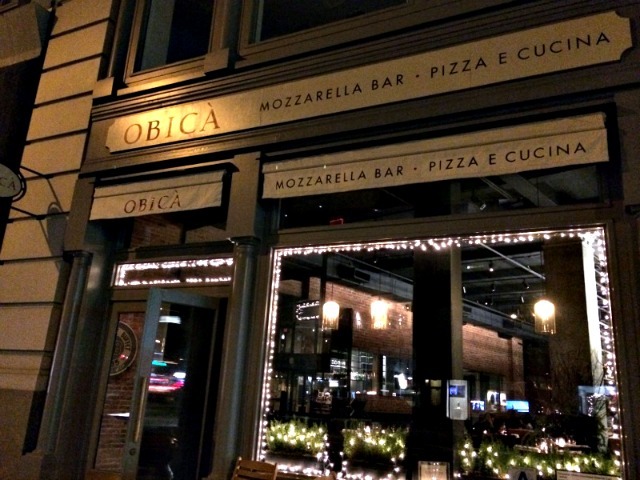 And that concluded our first Obica adventure — one of many we hope to experience in the future. Just fantastic simple ingredients, prepared and served on such a high level that you can’t wait to return. The pairings were so simple, yet so flavorful that you know this place is all about quality. Until next time, Ciao. 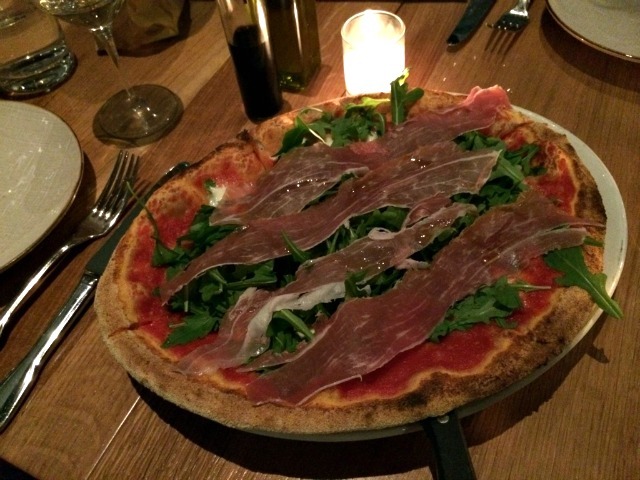 Tags: arugula, cheese, cured, Flatiron District, Italian, manhattan, mozzarella, Mozzarella Bar, Obicà Mozzarella Bar, pizza, pork, prosciutto, smoked, tomato, wine. Bookmark the permalink.